Nipsey's crew was right behind him. Nipsey Hussle's sudden passing has truly rocked the hip-hop community. While family, friends and artists alike are still mourning, YG and ScHoolboy Q have taken it upon themselves to delay any release of new music, as a way to maintain silence in the industry for the sake of one its fallen key members. 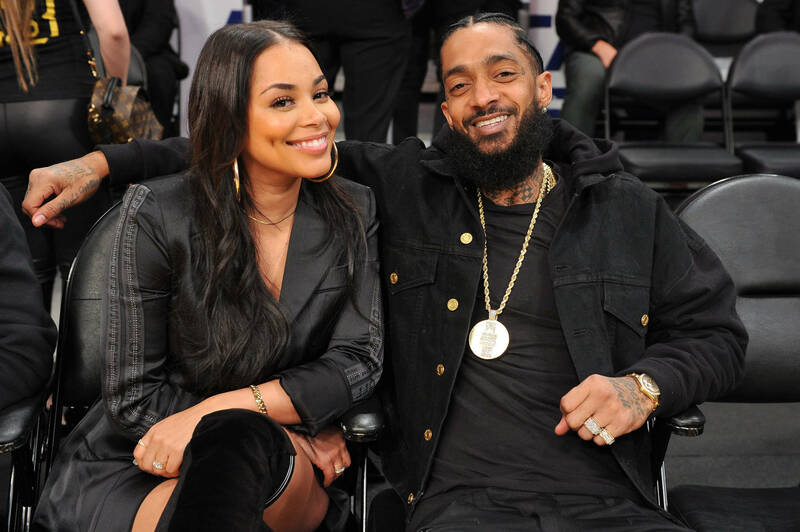 While more and more reports are coming through on details surrounding Nipsey's tragic death, TMZ now details that moments after the Victory Lap was admitted to the hospital, his closest friends and family were on route within minutes. The publication details how his partner Lauren London, YG, DJ Mustard, Dom Kennedy, Karen Civil, twins Malika and Khadijah, and his bodyguard, J-Roc were all at the hospital Sunday afternoon and stayed there for at least an hour after learning he had passed. Nipsey's crew held prayers, cried and tried to console each other after the doctor delivered the terrible news. "I am completely lost," Lauren shard to Instagram, breaking her silence after his death. "I've lost my best friend, my sanctuary, my protector, my soul... I'm lost without you. We are lost without you babe. I have no words."